Every child deserves to be safe, healthy and loved, which is why NW Children’s Foundation dedicates itself to ending the complicated cycle of child abuse and neglect. Join us. Together, we are making hope work. NW Children's Foundation works to end the cycle of child abuse and neglect. We know that breaking this complicated intergenerational cycle requires a multi-faceted strategy: We must intervene and help fragile victims heal when maltreatment has already occurred, and must also work to keep it from happening – both now and in the next generation. That is why NW Children’s Foundation impacts several critical points in the cycle. Through our EDUCATIONAL OUTREACH AND CONVENING, we facilitate systemic change. Bringing together diverse players in the field to learn and connect, we create collaborations that ultimately lead to a more cohesive community framework for preventing and addressing the underlying causes of child abuse and neglect. Heal Abused Children by providing counseling and treatment for our youngest victims of abuse and neglect. Help At-Risk Youth by teaching them how to make good decisions and fulfill their potential through mentoring, tutoring and other opportunities. Strengthen Fragile Families by reaching out to those coping with homelessness, mental illness, substance abuse and domestic violence – some of the strongest risk factors for child abuse and neglect. Learn more about our vision and work through our Impact Road Map. Congrats to Our Latest Grant Recipients! Congratulations to our Winter Grant Recipients! NWCF is proud to distribute $444,000 to 25 child welfare agencies doing incredible work in our region. These partners offer programs that address multiple points in the complex cycle of abuse and neglect to help heal and protect children and families throughout Western Washington. A special thank you to all of our donors – with your support and commitment, we are building a brighter future! Get more news in our spring newsletter. 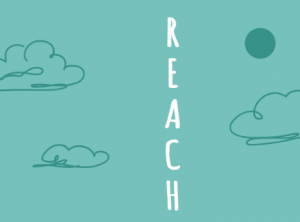 Join us for the NWCF Gala, Reach! We hope you can join us for Reach, the 34th Annual NWCF Gala & Auction on Saturday, April 27, at Fremont Studios. Enjoy a scrumptious dinner from Chef John Howie, a thrilling live auction with John Curley and exceptional wine donated by local wineries. Best of all, your support enables us to invest in critical interventions that improve the lives of children and families and create a brighter future for all. Don’t miss it – the NWCF Gala will be a night to remember! Check out our amazing line-up of auction items!